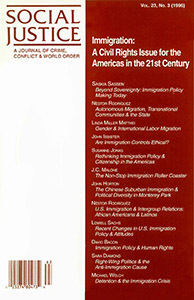 Public policy on immigration will be central to determining the form and character of US society in the 21st century. The political Right has so far seized the initiative in defining the parameters of that discussion, in effect limiting national debate to choosing between degrees of restrictionism. 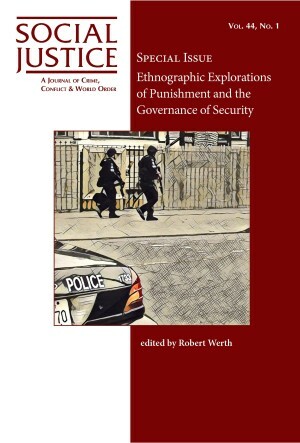 Immigration: A Civil Rights Issue for the Americas fills an important gap in existing literature on immigration by providing a variety of perspectives among those who agree that immigrants have rights, but may differ about how to assert those rights. This outstanding collection of essays is written by some of the most notable scholars in the area of immigration and will be valuable for classroom use and beyond because of the readable and accessible style of the articles. Calling upon that which is best in the democratic heritage of the United States, this collection challenges the historic and ongoing civil rights struggle to adopt a global perspective that includes the civil rights of all immigrants, whether documented or undocumented. In addition, the book takes on issues that are relevant to every day realities in most communities throughout the United States. Its premise is that, despite the fact that states claim the sovereign right to control their borders, migrants who cross borders bring inalienable rights with them. John Isbister, Are Immigration Controls Ethical?